Hurricane Hazel is adding academia to her resume as the first chancellor of Sheridan College. Hazel McCallion, Mississauga’s longest-serving mayor, was sworn in at the Living Arts Centre Monday. 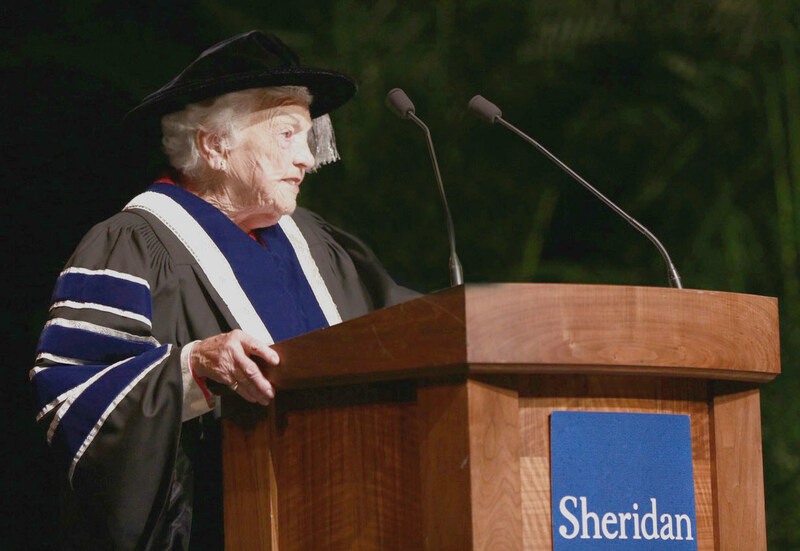 “I will do whatever I can to make sure that every student who enters Sheridan knows that every door can open before them – whether they start or finish here with an advanced certificate, diploma, skilled trade or undergraduate degree,” McCallion said during her installation address. The position – unpaid, spanning a three-year term – means McCallion will be presiding over annual convocation ceremonies and serving as an ambassador for the school. “Throughout her 36 years as the Mayor of Mississauga, Hazel McCallion embodied the values and attributes that we aim to instill in our students at Sheridan,” said Sheridan president and vice-chancellor Dr. Jeff Zabudsky. The appointment of a chancellor is a milestone in Sheridan’s journey to become a university – a vision it formally adopted in 2011. Since that time, Sheridan has implemented a new governance model with the establishment of the Senate, a body with authority over academic decision-making. McCallion was sworn in before the first of 11 convocation ceremonies in which 7,800 students will be graduating. She’s also a special advisor at the University of Toronto Mississauga.